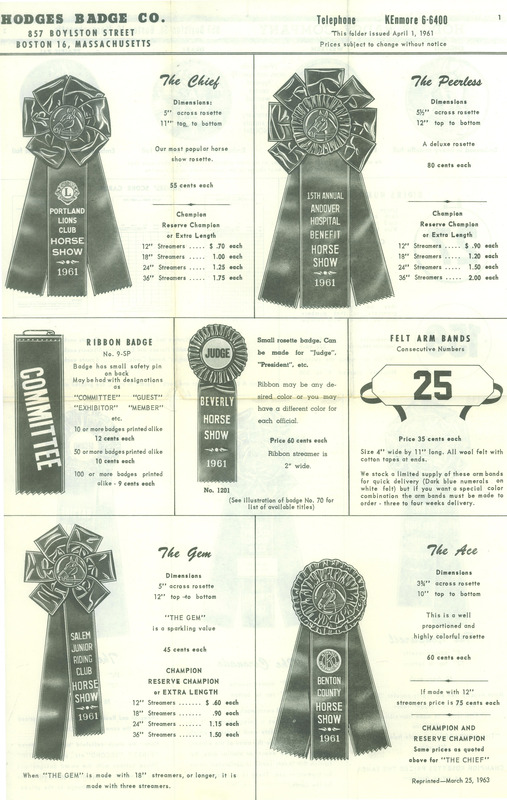 Back in July, I wrote a blog post about catalogs and ribbons from past years (decades!) that was fairly popular. By request, I have dug through the dusty boxes again in order to find some more vintage ribbons and images to show you how much things have changed. Enjoy! Back in 1961, there was no catalog or pamphlet. Our customers received this flyer instead. Note the phone number at the top right. KEnmore 6-6400 - close to Kenmore Square in Cambridge, Mass! In 1961 there were 4 Hodges in the business - Ted, Marice and Nina, and Ted's son Jim, who had just completed studies at MIT. Our current president, Rick Hodges, wasn't born until 1962. 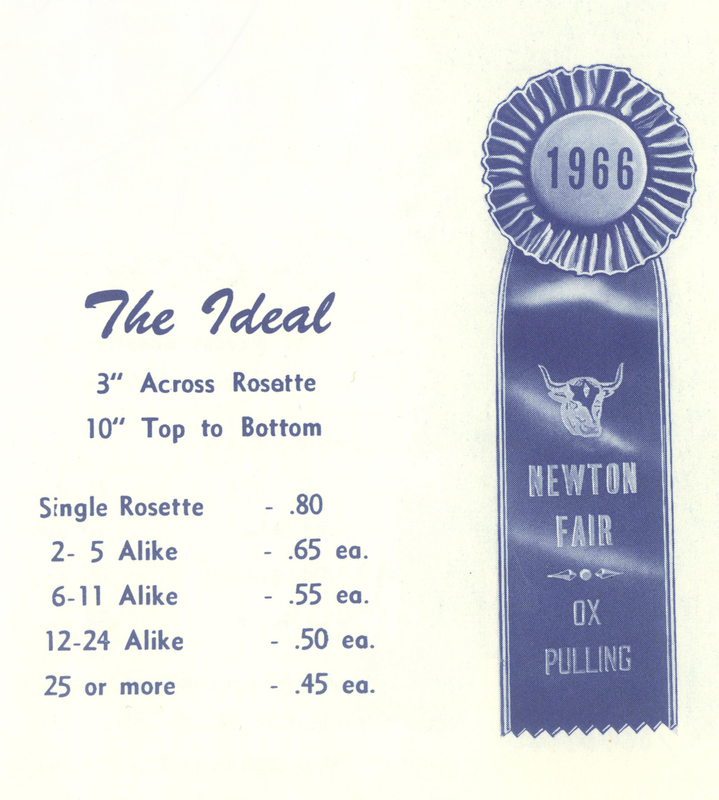 In the mid '60s, we introduced the Ideal. With only one streamer and just a 3" pleated top, it's quite different than what we call the Ideal today. 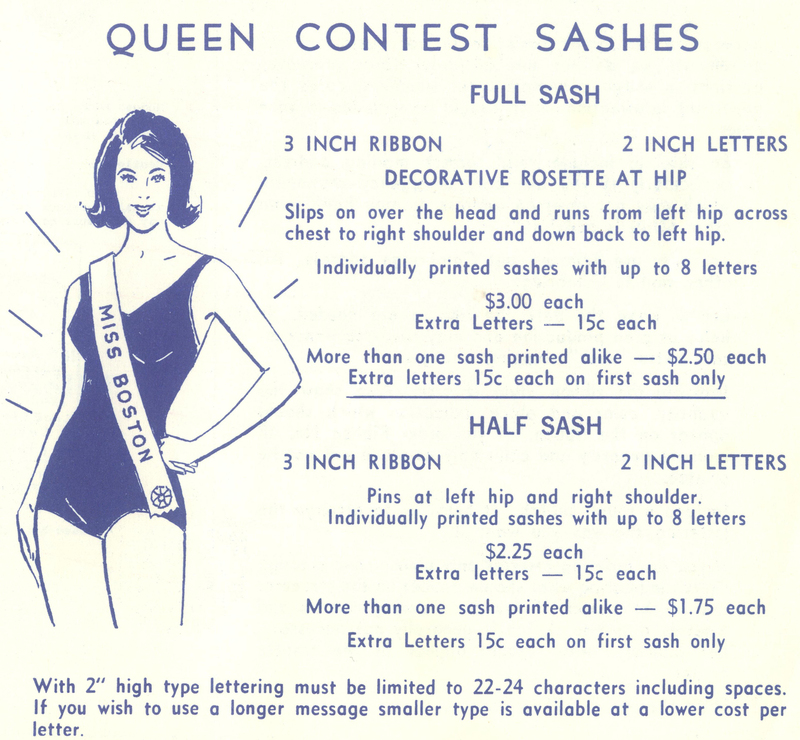 Thought you'd also like to see our '60s sash model. Anyone have a name for Miss Boston? 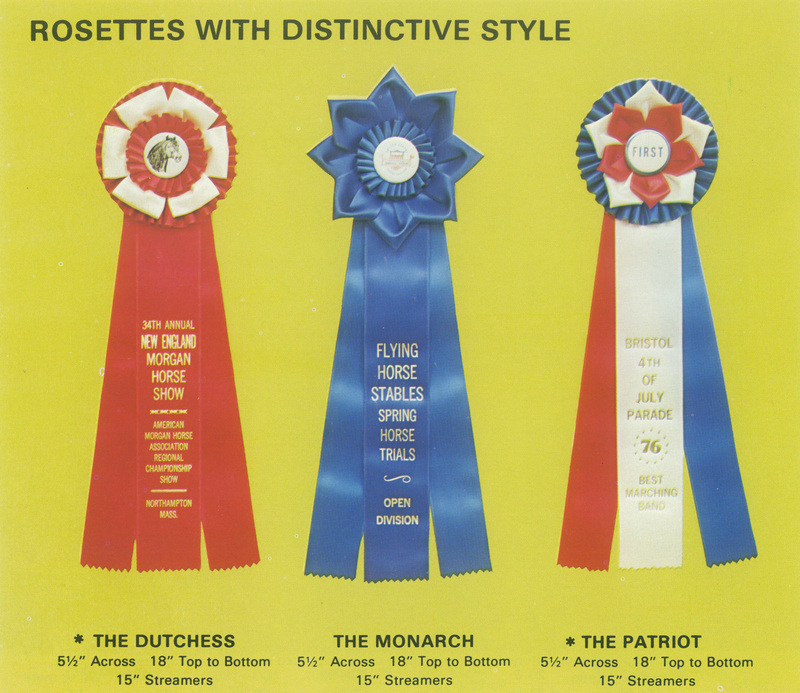 In the mid '70s there were more unique rosette choices. The Patriot wasn't actually discontinued until the early '90s. There were even more rosette options created in the '80s, including the Banbury seen above. Hope you enjoyed visiting ribbons and catalogs from years past. Do any of you still have your awards dating back from these years? We’d love for you to share your photos! So Rhode Island weather hasn’t been the best lately with snow storm after snow storm but last weekend was a great weekend for a pet expo. 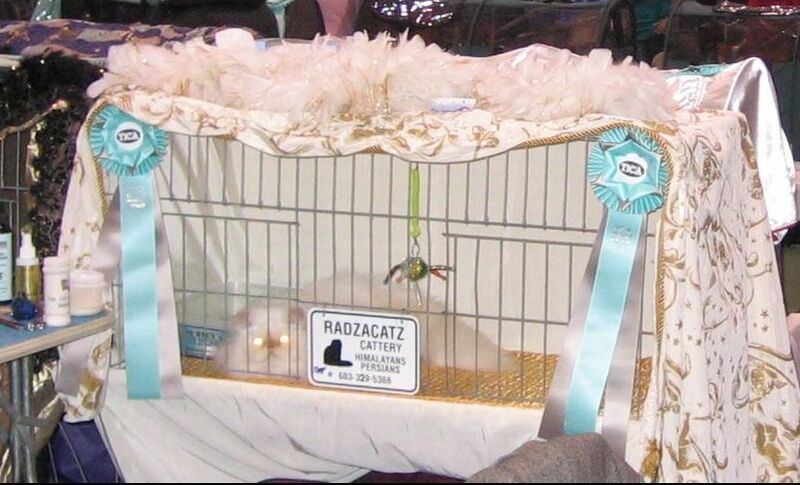 Providence, RI hosted the Annual Rhode Island Pet Expo. 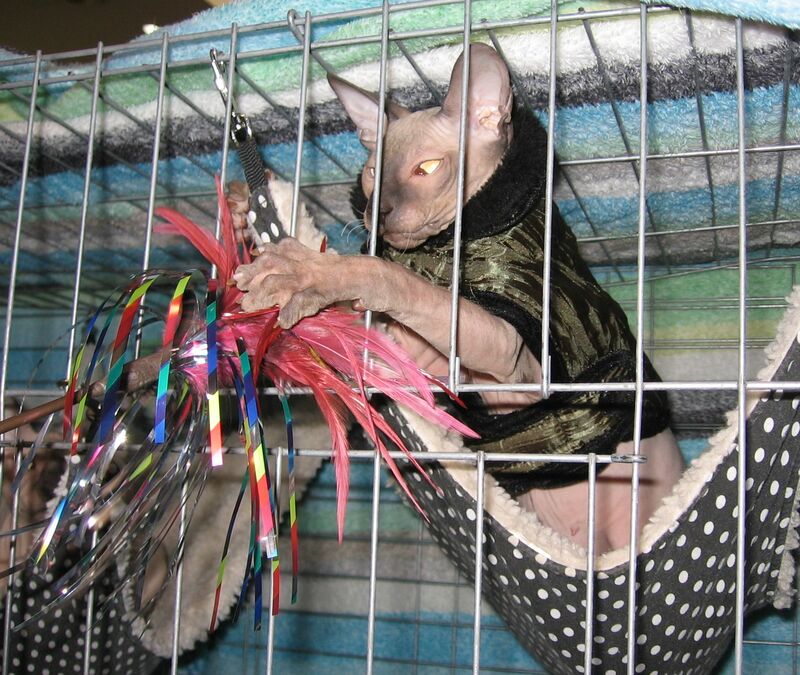 The expo featured the Pet dog Parade of Breeds, the Parade of Purebred Dogs, the Rare and AKC Dog Show, the Exotic Bird Show and The International Cat Association Cat Show with over 100 breeds of exotic and domestic purebred cats. It was all about the animals. Attendees were even encouraged to bring pet food to feed homeless animals for a discount off admission. 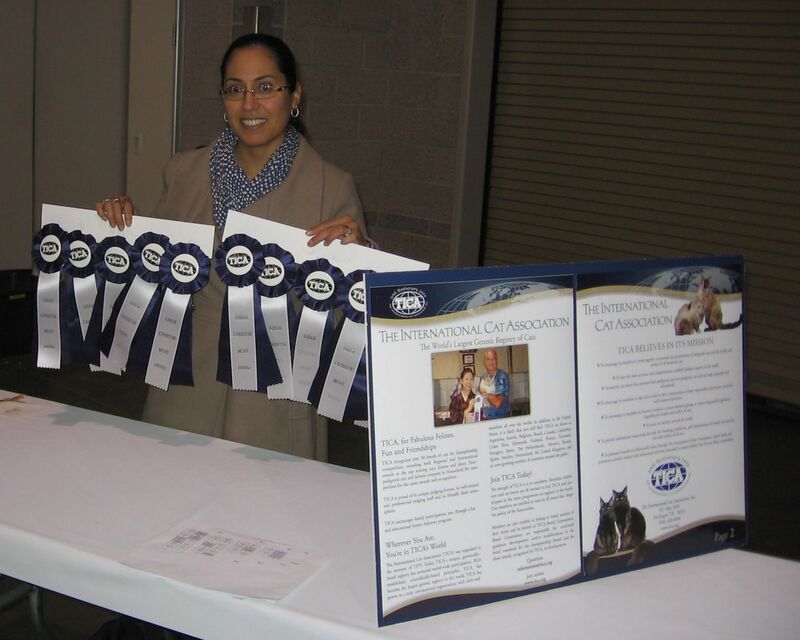 The TICA show was amazing with so many breeds on display. Iliana was fascinated by the Sphynx with its lack of coat. It was interesting to learn that these cats are hardly maintenance free, even though they lack a coat to shed or groom. Body oils can build up on the skin requiring regular bathing; exposure to sunlight can be just as harmful to them as to humans; and their ears and nails require extra attention as well due to the absence of fur. If you’re having any kind of event in the area and would like to meet, let us know and we would love to attend. We’d like to learn more! In our previous post, I mentioned there were simply too many new products in our Championship Line to introduce all at once. This post will show you some of our new handcrafted pewter pieces. 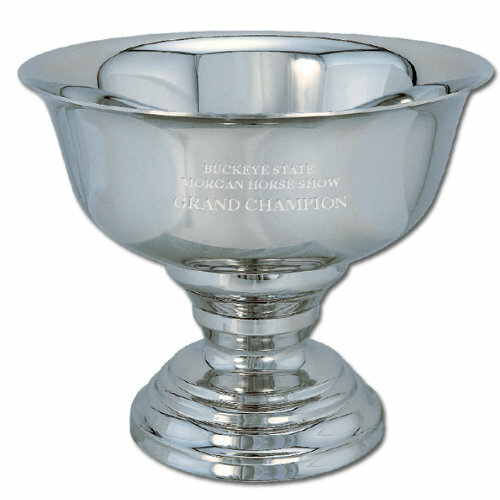 Our Boardman Silversmiths pewter items include the Louisville Rose Garland Serving Tray, which is available in three sizes, and the Newport Pedestal Bowl, which has five size options from a 5″ diameter to a 12″ diameter. We also expanded our offering of Pewtarex plates. In addition to the horse rim plates, we now have the Gadroon with a more elaborate rim, and the Iris Tray with carefully finished flowers (and a little frog!) decorating the left side. 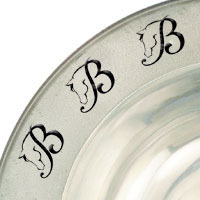 Lastly, did you know you can order your own custom logo on the rim of a Pewtarex plate or bowl? With just a 36 piece minimum, you’ll be awarding a prize you can be sure your competitors have never received. Call Customer Service to request a quote. If you have received our 2011 Equestrian Catalog, you may have noticed a section towards the back with pages of new products. 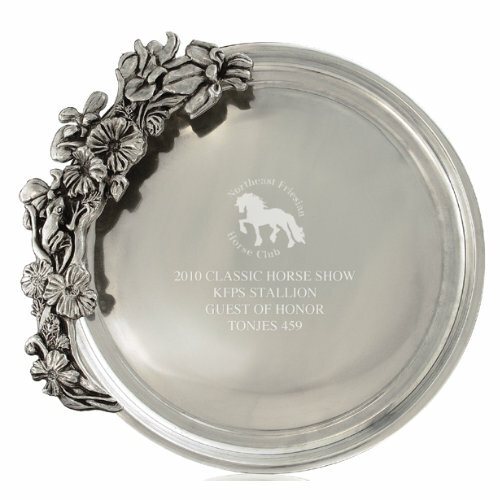 With customers asking for items that were suitable for End of the Year and Series High Point awards, we have significantly added to our offerings of silver and pewter, as well as brought in new pieces of crystal, bronze resin trophies, and high-end mango wood frames and plaques. I wanted to preview a few pieces from the Championship Line here on the blog. Of course if you’d like to review the items in print, please click here to request a catalog. 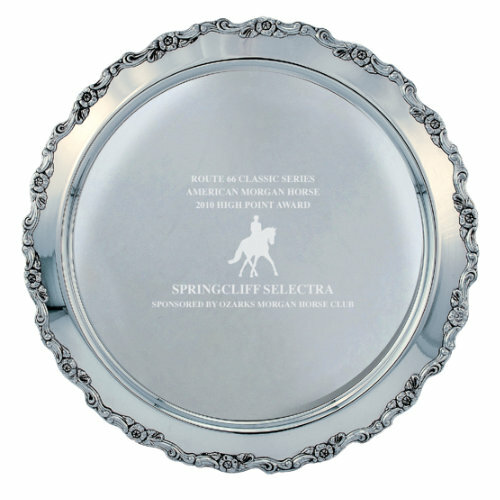 For those of you looking for a timeless silver plate, our new OG Edge Plain Tray comes in 17″ and 20″ sizes, large enough to engrave the names of many years’ winners. 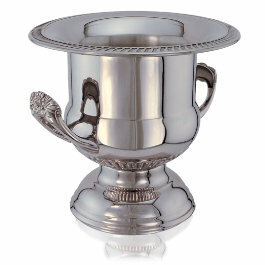 For a silver perpetual trophy, consider our new Wine Cooler. 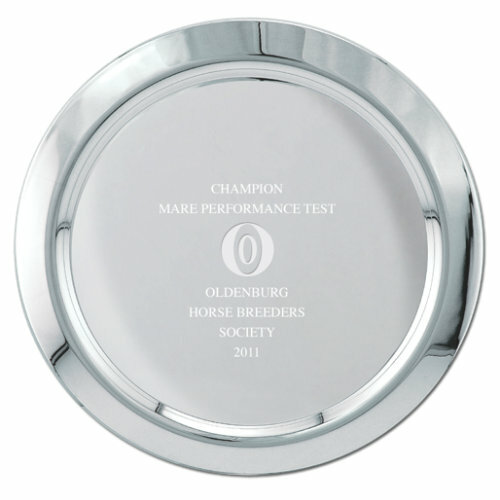 It can be placed on our cherry tone base with 32 silver brushed plates. 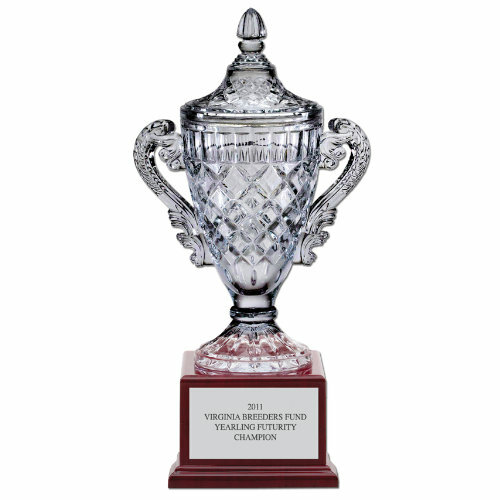 Our Crystal Trophy Vase also comes in three sizes, and would make an impressive trophy for any event. 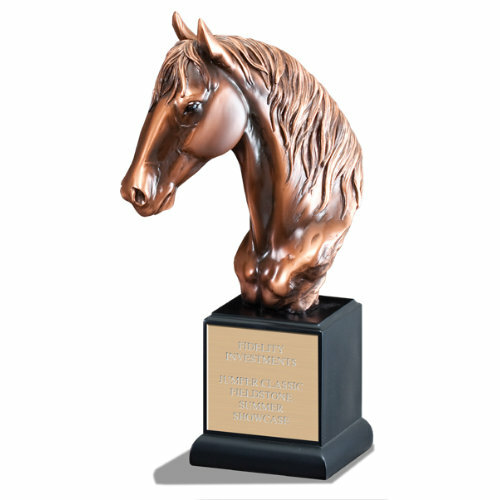 Finally, our Horse Head bronze resin trophy also appeals to multiple disciplines. There are many other beautiful pieces to share, but I’d be making you scroll through pictures for way too long! Check back later for Part II on our new pewter pieces. Can’t wait? 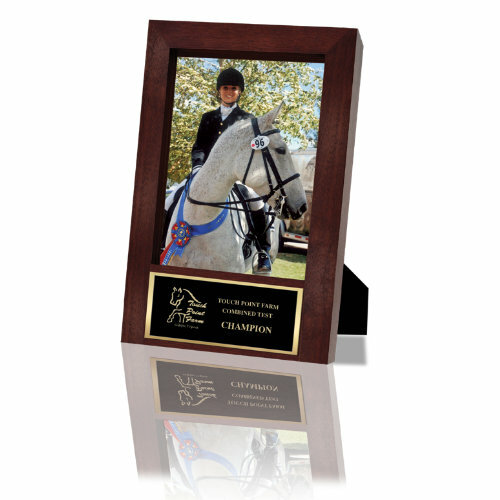 Head on over to the website and click around our Equestrian Awards tab.